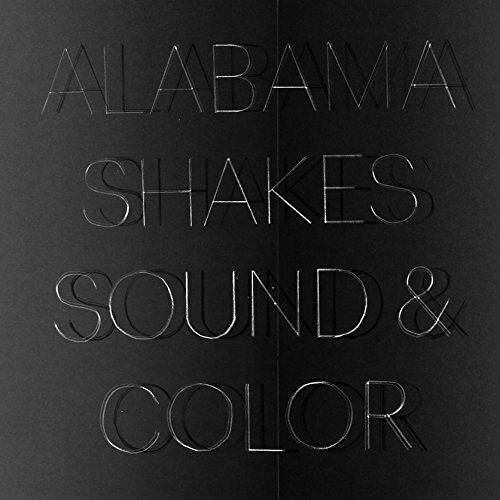 For quite some time I’ve been anxiously awaiting the arrival of Sound & Color, which is now the second album in the Alabama Shakes discography. I already knew that their debut album Boys & Girls would be an extremely tough act to follow. Sound & Color has quite a few moments where the brilliance of the Shakes as a band shines through to the listener. To boot, the size of the band has increased. One of the most notable additions to the lineup is a strings section which adds a sort of new flavor to the sound of the album. Everything about Sound & Color feels more expansive. Instead of sticking exclusively to their roots, the Shakes have enmeshed new influences into their brand of bluesy Southern rock. With that being said, I felt like Sound & Color was missing something. Instead of loving this album, I ended up simply liking it. Sound & Color starts off on a strong note. 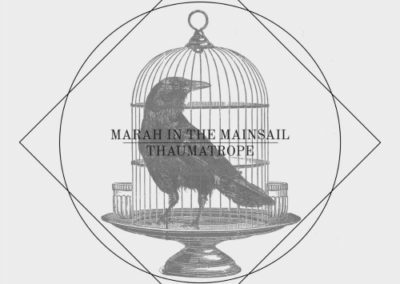 The self entitled first track feels fresh and is accompanied with strong lyrics. Brittany Howard, lead vocalist and songwriter, is the star of the show here and throughout the rest of the album. Next in the lineup is one of my favorite songs in the entire record. Don’t Wanna Fight holds onto that gritty Alabama Shakes sound. However, blues, funk, and pop elements are added to maintain that freshness. It’s during this track in particular where Howard is able to show off her vocal prowess. At this point I’m totally hooked on Sound & Color. I’m in a groove. Sadly, the next two tracks slightly threw me off of that groove. Dunes slightly reminded me of the 13th Floor Elevators with its psychedelic and distorted sound. Ultimately the entire mood/energy of the album changed at this point. The same type of distortion continues into the next track, Future People. Don’t get me wrong. Both are great tracks within themselves. However, they don’t fit into the overall feel of the record. Next in the lineup is Gimme All Your Love. This one is another huge favorite of mine. It feels raw and the sonics of the record are showcased beautifully here. Howard is able to convey a sense of despair and deep wanting. I would say that Gimme All Your Love is the record’s highpoint. Following afterwards is This Feeling which reminded me of the original Alabama Shakes. I could almost see this song being featured on their debut album. At some points there are a few hints of the Rolling Stones. Continuing with the same distorted sort of effect, Guess Who and The Greatest make it challenging for the listener to get a feel for the album. Shoegaze is the only other track on the remainder of the record that I seriously enjoyed. Great guitar riffs and just plain old balls to the wall rock n’ roll. Sound & Color wraps up with two more tracks. Both Miss You and Gemini do an excellent job of rounding out the record. But, I felt that the Shakes could have put together a stronger finish. That ‘missing’ element still remains. Surprisingly enough, Sound & Color wasn’t recorded in Muscle Shoals. It took me a while but I figured out what exactly was ‘missing.’ Sound & Color was lacking that Muscle Shoals sound and magic. Which was what made Boys & Girls such an incredible album from start to finish. Overall, the record sounded quite good on my turntable and all elements of the band were present. As previously mentioned, Gimme All Your Love showcases this best. I highly recommend you turn up your speakers and wait for Howard’s vocals, Fogg’s guitar, Johnson’s drums, and Tanner’s keys to reach out and grab you. Sound & Color is a gatefold LP. One thing I found surprising was the lack of a Side D on the album. Also, there is no extra reading material for the listener. However the individual record sleeves do have pictures of the band members and lyrics for each song on the back. Finally, the records themselves (not 180 gram) have a pretty interesting clear color effect to them. I didn’t buy a special edition of the album. If you’re an Alabama Shakes fan I highly recommend you pick up Sound & Color. It may have some flaws and sound quite different in many areas. But, at the end of the day you’re still getting the Alabama Shakes. I can see this record growing on me with time. For those who are not familiar with the Alabama Shakes I recommend you purchase Boys & Girls, their debut album, instead. Seeing that it makes up the bedrock of the band’s sound. Which will make the journey through Sound & Color that much more enjoyable.